For years, logo designers have relied on primary design principle and a general instinct to create the logos. They understand the foundational guidelines, utilizing which, they come up with an expectantly successful logo design. Despite using the same principles, some logos manage to make a mark, on the other hands some of these fail to impress in the long run. The question arises here; when two logos are designed by keeping all the nitty gritty in mind, why does only one of them turns out to be successful while another one comes to naught. To answer this question, we need to go beyond the certain principles. Neuroscience and psychology have got the explanations that are still unanswered in the design world. 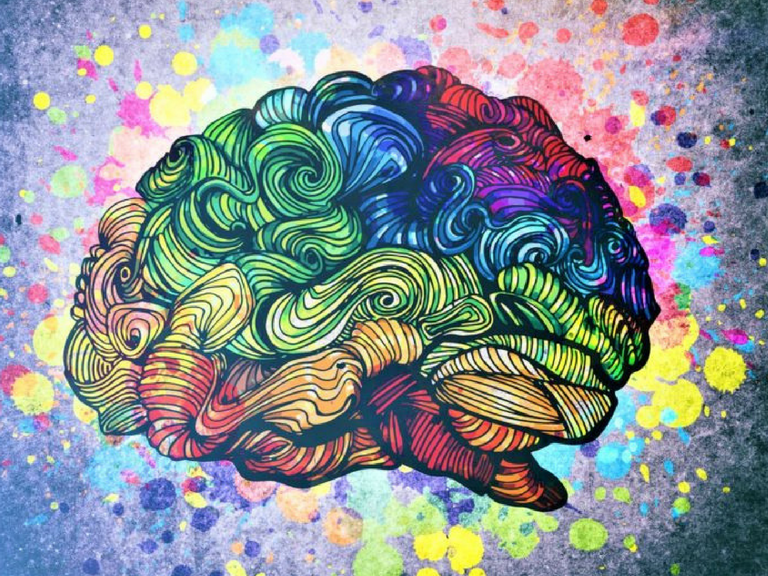 Neurodesign provides us with the fundamentals which help to understand the science behind the success of a logo and its perception by the mass audience. Being a designer, you need to comprehend the basic science behind neuro design. These principles will guide you through the process of creating the appealing logos, that are easily recognizable by the brain. Whenever we see a logo, the first element we pay attention to is its colour and rest of the components such as form and motion comes later. All of these elements in combination are processed in the visual cortex of the brain. Once all these elements are processed, brain proceeds to generate a particular meaning that is conveyed by the visual elements and then it gets matched with the previous experience. 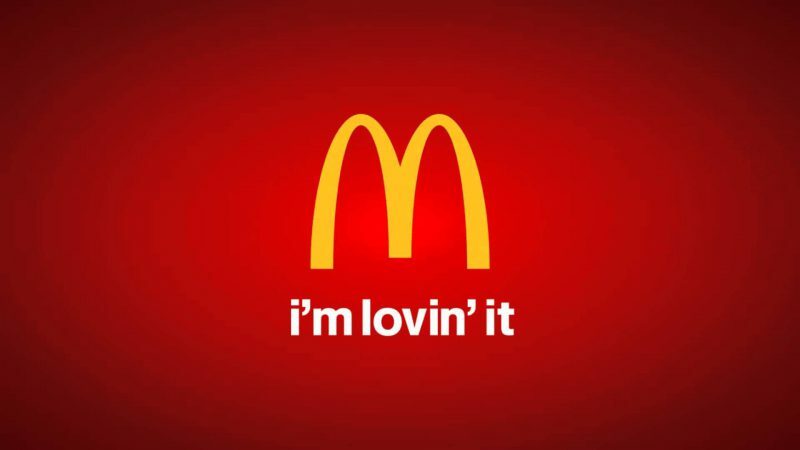 Let’s take the McDonald’s logo as an illustration. One can easily be able to recall the memory attached to the food chain even if they see the intensely blurred version of the symbol. Interestingly enough, our brain takes merely 400 milliseconds in order to process all the information. In a world full of plain, ordinary and predictable things, our brain always gets drawn toward the things that stand out from the crowd. Our brain has evolved to draw our attention to everything that is unique in the sea of the same. This quality of brain is known as visual saliency. The process, however, is not apparent but very subtle and automatic. In fact, our brain innately reacts whenever it observes any of this kind of triggers in the environment. In logo design, you can use a number of elements to intensify the visual saliency. For example, the properties such as brightness, contrasting, patterns, grids and depth can be used in order to elevate the appearance of the logo. With the adequate and appropriate mishmash of all these elements, you can effortlessly come up with a professional logo design that is capable of catching the audience attention. Here are a few examples of visual saliency in the logo design. Owing to the human psychology, people have got an innate preference for all the shapes that are curvy or rounded, instead of those which are more sharp and spiky. This is because of the fact that the angular and sharp edges recall the sense of danger in our mind. Hence, we are more inclined to the tapered shapes because they are smoother and unusual to appear in the surrounding. Keeping this fact of neuroscience in mind, it has been observed that the logos that are curvy and tapered, are perceived as approachable by the mass audience. On contrary cusps could evoke the instinct of danger due to which people are more likely to pay attention to them, despite the fact that they signal risk and fear. Interestingly, it is suggested by the experts that a combination of curves and cusps could end up being the most effective logo if everything has been fused together efficiently and strategically. Given the fact that patterns are easy to be processed, our brain always looks for the shapes that are built by utilising definite patterns. To put it differently, our brain has a bias for exploring the new patterns. Understanding the significance of patterns and configurations, geometric logos has become quite a popular trend lately. Geometric logos appear as clear and sleek to human eye and brain. Therefore, they are usually quickly picked and processed by the brain. Granted that, by incorporating geometric grids, regular proportions and rules of symmetry into the logo design, one can come up with a striking and eye-catching logo. 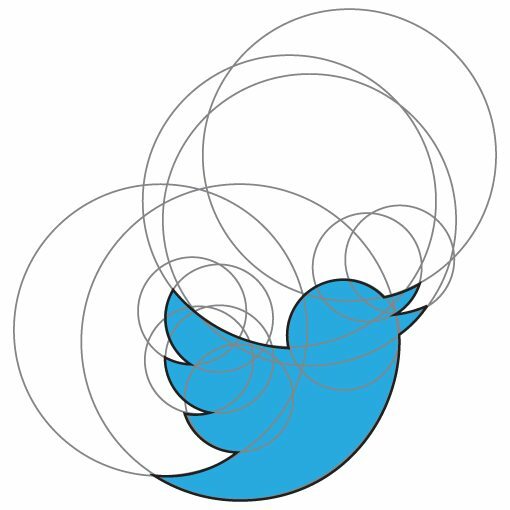 Let’s take the example of Twitter’s logo to explain the science behind, the Twitter logo has been created by combining several overlapping circles. The circled are not noticeable at first glance. But they are pierced within the design, consequently makes the logo one of the most remarkable logos exist. In conclusion, fundamentals of logo design provide you with the scientific evidence to support your design choices. Hence, it is highly suggested for the present day designer that if they really want to step up the game, they should explore the principles of neuro design. With a thorough knowledge of principles, they will be able to create designs with a more strategic approach.